In the run up to Alfie’s trial, use the campaign kit to show your support. 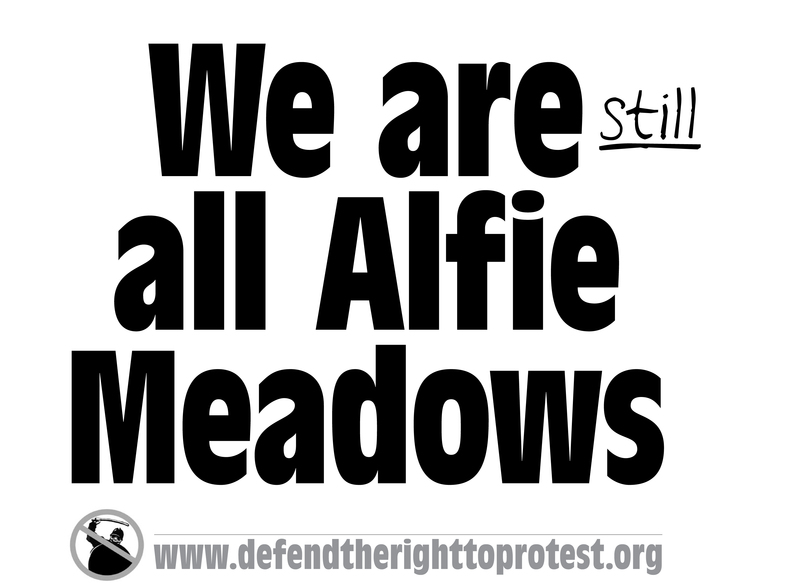 Pick a day at college or in your workplace to get people involved in the “we are all Alfie Meadows” campaign. Alfie Meadows and Zak King took part in the student protest on the 9th December 2010, along with thousands of others to oppose the trebling of tuition fees, the scrapping of EMA and the attack on public education. They were met by kettling, horse charges, and batoning – which left Alfie close to death, needing emergency brain surgery. Like many other students they were also arrested and dragged through the courts on excessive charges. This was designed to get prison sentences. In one case a college student was sentenced to 12 months for waving a flimsy placard stick. However many of these cases fell apart when students plead not guilty and exposed the police brutality on the day. Alfie and Zak first went to trial in March 2012 which resulted in a hung jury. A retrial then began on the 29th October and was then aborted due to repeated delays. Alfie and Zak will now stand for a third time in court, two years and three months since the 9th December demonstration! 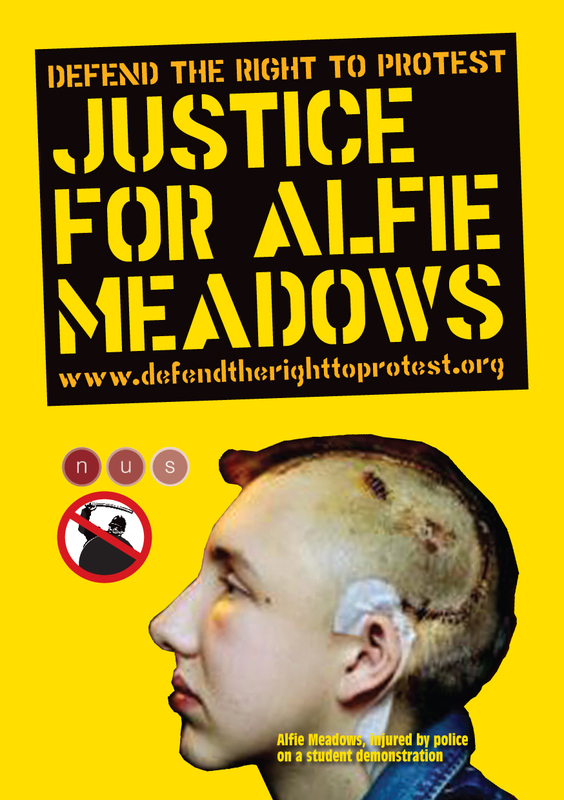 Alfie has already suffered life threatening injuries and the trauma of emergency brain surgery. Zak had to watch his brother get dragged through the courts on similar charges only to be found not guilty. This ongoing victimisation and punishment must end now. 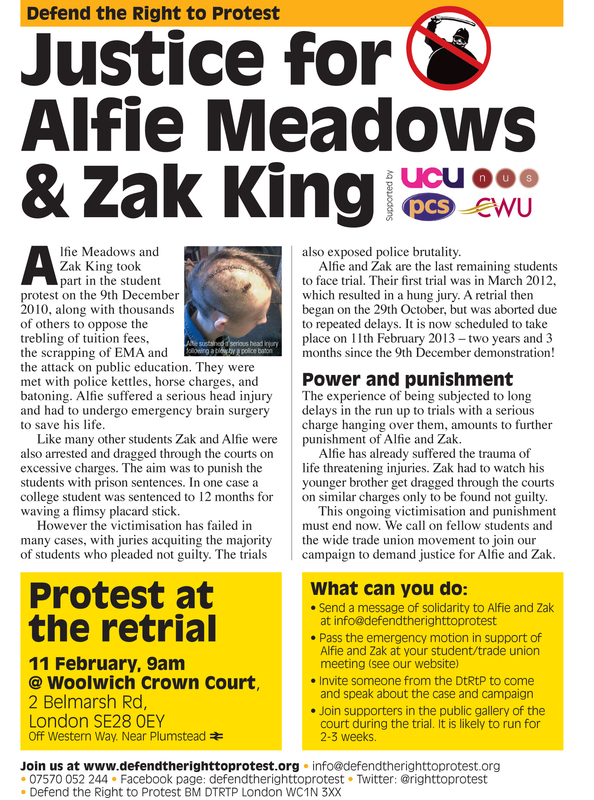 We call on fellow students, trade unionists, activists to join our demand for justice for Alfie and Zak. 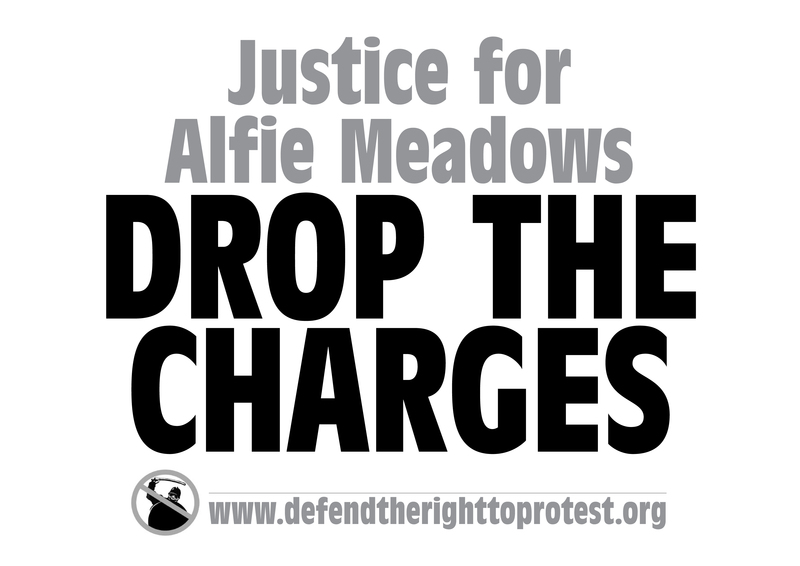 Solidarity with Alfie and Zak during their third trial!